The curriculum is designed to blend conceptual knowledge with hands-on experience using modern GIS software and techniques. The majority of coursework can be completed asynchronously – there are no lectures for the USC GIS graduate programs. Core theoretical concepts are provided via course notes and assigned readings. Written assignments give students the opportunity to analyze and apply the concepts and theory learned from readings. Practical exercises will mainly use ArcGIS Pro, which students will gain access to via virtual desktops and servers. Few other GIS master’s programs in the country offer the same balance of broadly applicable knowledge with the opportunity to gain the technical skills to elevate a GIS career. With our online GIST master’s degree, you can tailor your coursework through an extensive selection of electives, and you’ll also have opportunities to develop your own GIS projects on real-world issues that you care about. Design and implement well-formed database models using appropriate design techniques and relational database software. Design and implement strategies for capturing or sourcing geospatial data and accompanying metadata for one or more GIS projects. Explain complicated geographic patterns and relationships using the theoretical concepts that form the basis of both commonplace and advanced methods of spatial analysis. Generate geographical information by processing digital remotely sensed data and critically evaluating its use for special one-of-a-kind applications. Design and develop cartographic and other kinds of visualizations for a multimedia, Internet-enabled world. Program small-scale, one-of-a-kind GIS-based applications using the Python and/or Java programming languages. Identify and describe the role of people and technology in organizing, planning, monitoring, and controlling GIS projects. Critically evaluate the potential impact of data quality on spatial analysis and decision-making outcomes. Plan, design, and execute a series of advanced science and/or policy relevant GIS-based projects. Depending on the selection of track or electives, graduates will also gain competency in core skills relevant to more specific areas of interest. For example, students of the GIS application development track will also be able to program one-of-a-kind GIS applications using Python and/or Java. This course examines the unique characteristics and importance of spatial information as they relate to the evolving science, technology and applications of geographic information systems. It provides the foundation for understanding and applying other concepts and technologies throughout the spatial sciences programs. Students will learn how to design and implement geospatial databases. The course also provides hands-on experience with relational, object-oriented and other types of geospatial databases so that students gain practical knowledge of the structure and management of geospatial data. This course examines the role of global positioning systems, maps, geocoding and other kinds of sensors as geospatial data sources. 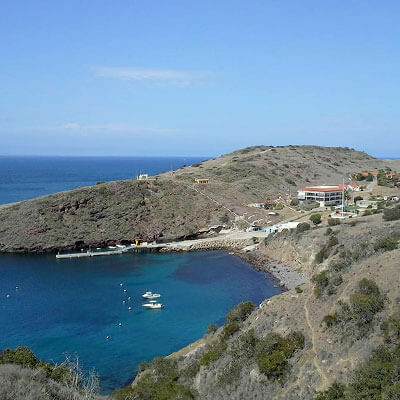 Students will also participate in a field data acquisition excursion on Catalina Island, in which they will have opportunities to meet their peers as well as network with leading GIS scientists and other experts. As spatial information becomes more integrated into operations for organizations, spatial functionality and features become more deeply connected to their software. This track equips students with the skills to develop and customized GIS software, including Web and Mobile GIS. This course provides the knowledge and skills for developing customized GIS applications. Students will gain hands-on experience designing, coding and implementing GIS-based software. The course focuses on leveraging programming languages commonly used in GIS software, including Python. This course provides essential and practical knowledge developing web-hosted GIS applications. Students will gain experience using a variety of tools commonly used for GIS application development, including Google Maps, ArcGIS and several open source technologies. This course will provide an understanding of the advantages and disadvantages of using mobile GIS applications. Students will also gain hands-on experience with modern mobile GIS development technologies; this course utilizes a variety of GIS community resources (e.g. public forums), software development kits and cloud-based services (e.g. Parse.com and Carto.com) to ensure students gain exposure to the latest technologies and development strategies. This track provides knowledge and experience in how to use spatial data for insight and decision making. Graduates will learn how to visualize spatial information through animations and multimedia displays as well as how to model spatial phenomena. This course provides the knowledge and skills necessary to investigate the spatial patterns which result from social and physical processes operating at or near the Earth’s surface. The focus is on providing an understanding of the theories and context of spatial analysis, preparing students to identify the best analytical tool for a given problem and produce valid, defensible spatial analysis output. This course gives students an understanding of as well as hands-on experience using spatial analytical models to both describe and predict geospatial and environmental processes. Students will learn to work directly with domain experts to craft spatial modeling solutions for complex problems, using ArcGIS and open source spatial modeling solutions. This course examines the principles of cartographic design and visualization in the context of maps, animations, virtual reality and multimedia displays produced with modern GIS. Students will gain experience with techniques for dealing with continuous surfaces, mapping discrete terrain features and geovisualization. The most sophisticated GIS analyses and software in the world are still only as good as the data behind them. This track is designed for individuals interested in more deeply understanding spatial data, including methods for sourcing, maintaining high quality data and integrating data from numerous, varied sources. This course examines the concepts, principles and use of project management tools, with a focus on the common people-centric issues encountered running GIS projects. Topics covered include the geospatial project lifecycle, budgets, risk management, team building and ongoing trends that may influence geospatial project management (e.g. increasing usage of open source software). This course examines the principles and technology of remote sensing and role of remote sensing data in GIS applications. Students will learn to implement and evaluate digital image processing methodologies. This course also explores common uses of remote sensing data in human security and environmental sciences. This course examines the role of crowdsourcing, volunteered geographic information, spatial data infrastructures and web portals in collecting and managing geospatial data assets. Students will also learn to critically analyze data sources to identify their best usage within GIS environments. This track is designed to be highly flexible, giving students additional freedom to gain a deeper conceptual understanding of spatial thinking and analysis as well as practical experience with GIS. The USC online Master of Science in Human Security and Geospatial Intelligence degree provides students with an understanding of where human security has both stability and instability. This degree connects collaborative and interrelated sciences and disciplines and provides a set of viable tools for graduate-level planning and leadership on future human security and geospatial intelligence (GEOINT) work within the U.S. DoD, U.S. State Department, related U.S. support/non-governmental agencies and within comparable international organizations. Shape the results of geospatial information management groups and organizations. This course examines the relationship between human security (population growth, urbanization, conflict) and disasters, both man-made and natural, where complex emergencies are impactful to human populations. Students will gain an understanding of the concepts and multidisciplinary forces that impact incident response. This course explores the practical application of geospatial intelligence, highlighting specific examples of its use in military operations, national security, international relief work and disaster management. Students will gain a comprehensive understanding of the many and varied types of threats that impact human security and how geospatial technologies and methodologies can be used in each type of scenario. This course closely examines the way GIS provides value within an organizational context. Students will also learn the qualities and skills leaders need to help their teams form new ideas and how to drive their organizations toward success. This course provides a hands-on opportunity in which students apply the knowledge and GEOINT skills to make an informed human security recommendation. In the capstone course, students will work with one of USC's GEOINT partners to solve a real-world GEOINT challenge. The online graduate certificate in GIST provides the foundational knowledge for professional advancement utilizing fundamental geographic information science principles and the latest GIS, GPS and remote sensing platforms and applications. Students will also gain skills in at least one other area, depending on choice of elective. Electives cover topics ranging from GIS software development to spatial modeling. Accredited by the U.S. Geospatial Intelligence Foundation (USGIF), this program helps develop your readiness for careers in disaster management, human security, international relief and many other fields. USGIF accreditation signifies that the USC GEOINT graduate certificate meets the high academic standards to ensure it develops students with the necessary knowledge and skills to succeed in the professional GEOINT workforce. The online Geospatial Leadership Certificate program is designed to expand the geospatial knowledge and leadership skills of GIS managers or those who aspire to leadership positions. The capstone course allows you to build a personal leadership plan to position yourself to make high-level and strategic decisions in the geospatial field.